One of the best football events is just around the corner and we couldn’t be more excited about these shirts! 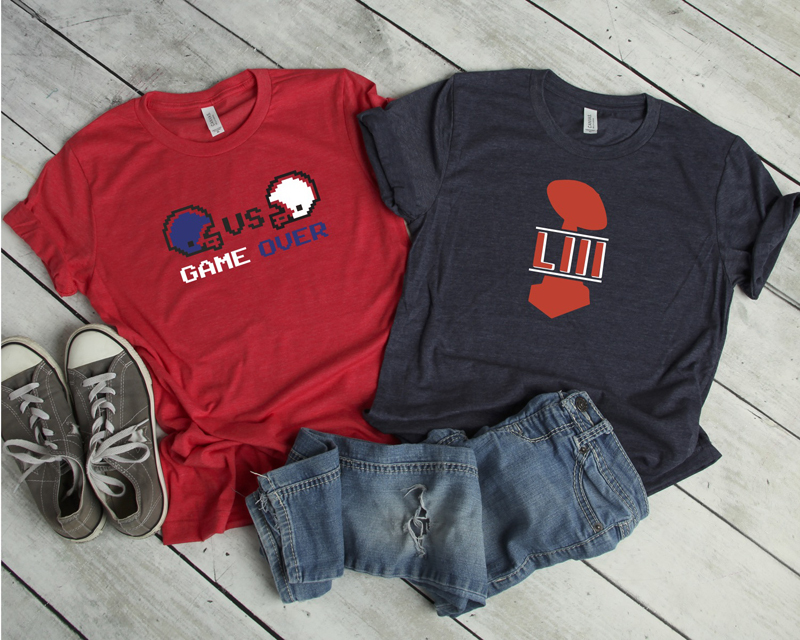 Between the old school Game Over shirt, Touchdown and Just Here for the Snacks, there is a shirt for everyone! 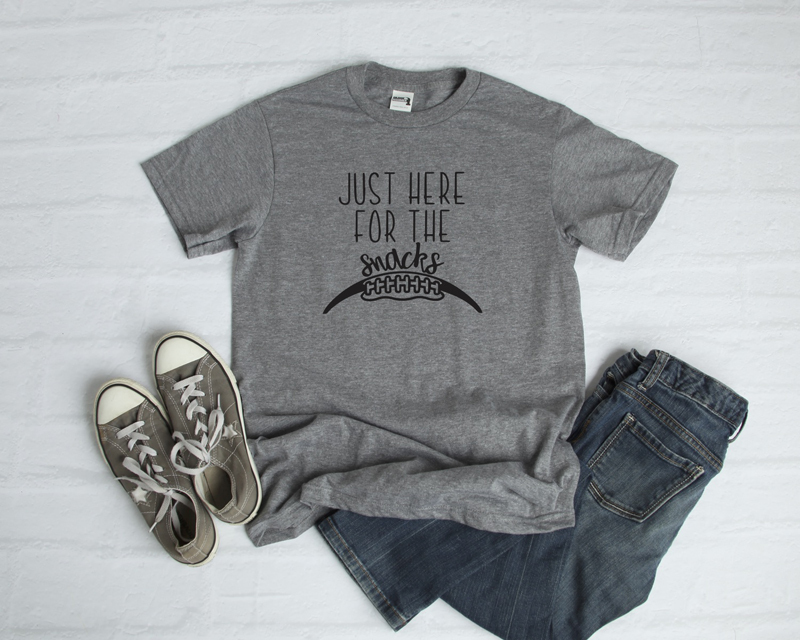 We love the Just Here for Snacks shirt and think it would also be so cute as Just Here for the Commercials! You can edit this shirt to fit exactly what you love about Sunday football games. We love the designs that Everyday Party Magazine came up with for the big football game! 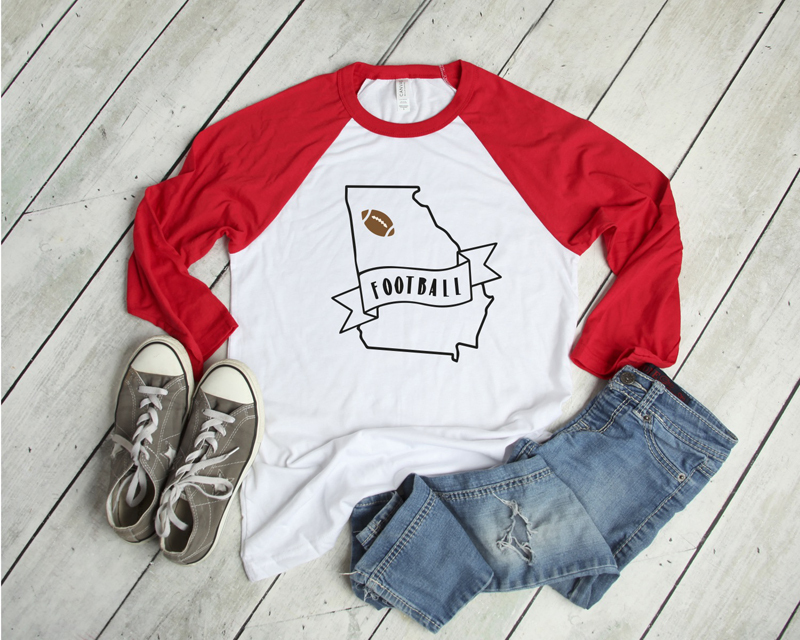 We love this state football design because it’s perfect for college, high school, and professional football! Wear your state and football pride! Just here for the snacks! This is my shirt for every sporting event! We also thought it would be cute to change it to Just Here for the Commercials because, let’s be honest, we have some quality commercials coming our way! Watching sports all together is such a great way to spend time with friends and family and these designs add a little something special to an already fun event! We hope you love these designs as much as we do! Make sure to look at our EasyPress Interactive Quick Reference Guide for a seamless project! 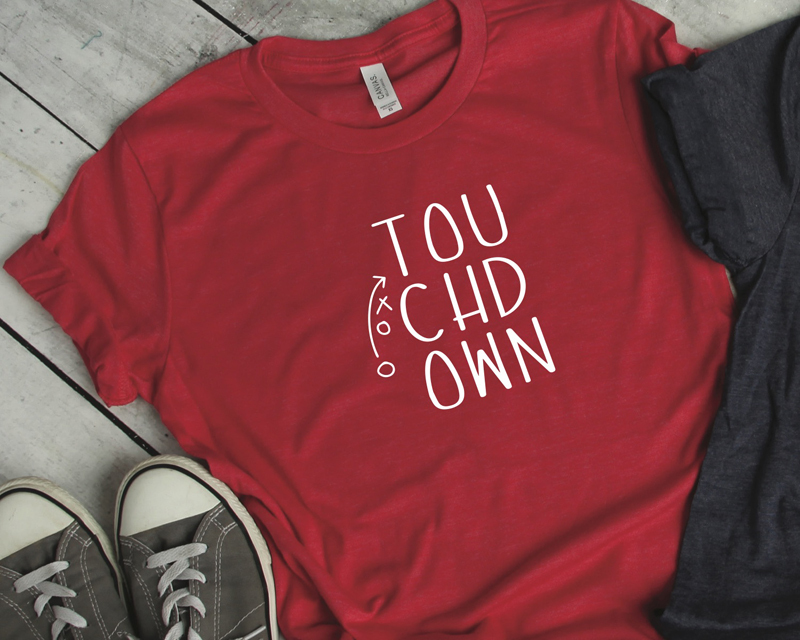 As always, If you have additional questions about iron-on, please visit our FAQ Page or reach out to Cricut Member Care at www.cricut.com/contact-us.